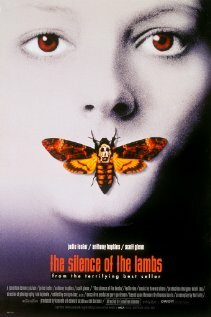 Report: Silence of the Lambs, Forrest Gump Added To National Film Registry. | The Cineaste's Lament. Report: Silence of the Lambs, Forrest Gump Added To National Film Registry. Anthony Hopkins’ Hannibal Lecter steps a little further into film history today as director Jonathan Demme’s 1991 tale of the erudite serial killer with a taste for human flesh officially becomes part of the National Film Registry. In all, 25 films, including “Forrest Gump,” “El Mariarchi,” and John Ford’s “The Iron Horse” are expected to be added to the registry maintained by the Library of Congress, /Film reports. Of the 2,228 nominated for preservation, the lucky two-dozen (plus one) were selected because “of their enduring significance to American culture,” James H. Billington, the Librarian of Congress, said in a statement printed by the New York Times. This entry was posted in Film News, Golden Age of Cinema, Our Films, Ourselves and tagged Bambi, Charlie Chaplin, Forrest Gump, John Ford westerns, The Kid, The National Film Registry, The Silence of the Lambs, Tom Hanks, Walt Disney. Bookmark the permalink.